Nashville, TN (September 5, 2018) – Chart-topping young star and two-time 2018 Dove Awards nominee Koryn Hawthorne makes a return appearance in Lionsgate’s hit drama series, Greenleaf tonight, September 5th at 10 pm/9c on OWN: Oprah Winfrey Network. Her song “Speak the Name” will be featured in the episode. Hawthorne’s role in Episode 303 (“Chain of Command”) marks her second appearance on the show, following her appearance during Season 2, where she gave a debut performance of her chart-topping hit “Won’t He Do It. 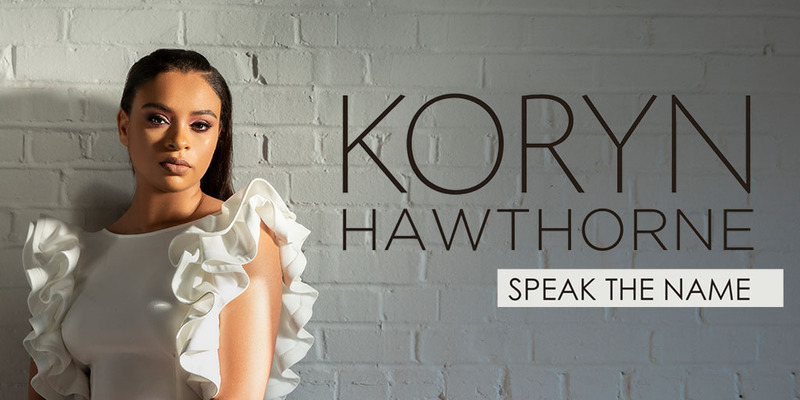 Koryn Hawthorne’s “Speak the Name” is now available on the Official Greenleaf Playlist on Spotify and Apple Music. “Speak the Name” was written by Hawthorne with GRAMMY®-winning songwriters Aaron Lindsey and Bernie Herms. The Greenleaf: Season 3 Soundtrack will be available from Lionsgate Music on September 28th. Amongst Hawthorne, the Greenleaf: Season 3 Soundtrack will feature songs performed by Deborah Joy Winans and Patti LaBelle, Chimere Scott, Keith David, Josiah Bell and Voice of Atlanta. In addition to her appearance on Greenleaf, Koryn Hawthorne kicks off touring this week on Jonathan McReynolds’ Make Room Tour, beginning tomorrow, September 6th in Detroit, MI. Check out the Official Greenleaf Playlist now on Spotify and Apple Music, featuring “Speak the Name” by Koryn Hawthorne: https://Lionsgate.lnk.to/GreenleafPlaylist. RCA Inspiration is the Gospel label operating under Provident Music Group, a division of Sony Music Entertainment. Voted Billboard’s #1 “Gospel Songs Label” for the past 16 years, RCA Inspiration is the home of mega-gospel artists Donnie McClurkin, Israel Houghton, Le’Andria, Marvin Sapp, Travis Greene, and many more. In season three of “Greenleaf,” all the turbulent forces that Grace’s (Merle Dandridge) return to Memphis unleashed threaten to destroy not just the church her family built, but the family itself. Fallout from last season’s shocking revelation of Bishop’s (Keith David) infidelities with Lady Mae’s (Lynn Whitfield) sister, as well as reverberations from his current dalliance with that insidious Jezebel, Rochelle Cross (LeToya Luckett) lead to all-out war in the Greenleaf home, setting the Bishop and Lady Mae on a collision course that, unless God or Grace intervenes, can only end one way: divorce. In the wake of the marital mayhem, Lady Mae rushes to reconnect with Maxine Patterson (Patti LaBelle), an old friend and now a world-famous Christian motivational speaker, in an attempt to reclaim her forsaken call to preach and thus do what no First Lady has done before — survive as the sole head pastor of a megachurch after a major rift between its founding couple. Grace, meanwhile, works undercover in the company of Rochelle, hoping to discover Rochelle’s motives and true identity before the Bishop is swept away on a raging river of vanity and desire. Across town at Triumph, Jacob (Lamman Rucker) and Kerissa (Kim Hawthorne) try not to make the same mistakes Bishop and Lady Mae made as they work to build their own evangelical empire and manage parenting their teenage daughter Zora (Lovie Simone), but the roots of sin delve deep and old habits die hard. Sophia’s (Desiree Ross) faith is tested when an unforeseen medical issue arises; Charity (Deborah Joy Winans) struggles to make peace with Kevin (Tye White) and find her place in the world; and Grace works to keep an abused woman from death row for the crime of defending her own life. Meanwhile, Darius (Rick Fox) finds himself in conflict due to being entangled in an increasingly strained relationship with Grace. “Greenleaf” is produced for OWN by Lionsgate in association with Harpo Films and Pine City. Executive producers are Oprah Winfrey, Craig Wright (“Lost,” “Six Feet Under”), Clement Virgo (“The Book of Negroes”), and Kriss Turner Towner (“The Romanoffs,” “The Soul Man”). The series airs Wednesdays at 10/9c on OWN.